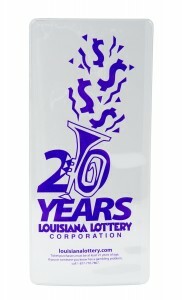 For more than 20 years we’ve been producing lottery playslip holders to state lottery commissions. Combinations of clear and opaque materials are standard and range from simple sleeves to folders with business card pockets. Decorating services range from single color screen printing to full four color process printing.